Wet Look Sunray Pleat Maxi Skirt is rated 4.3 out of 5 by 9. 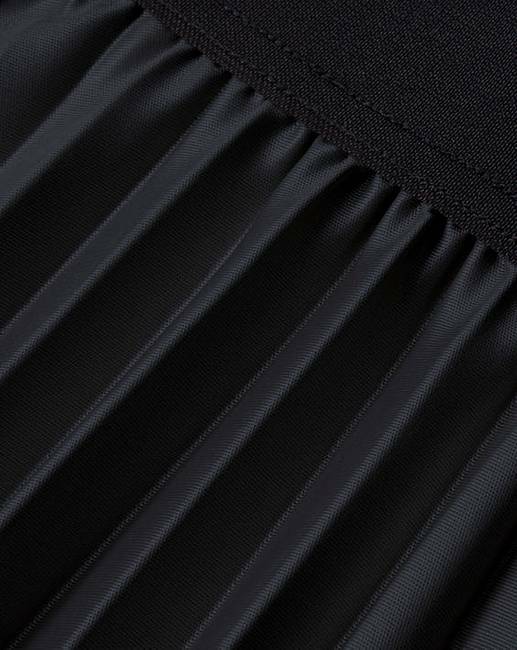 Wet-look pleated fabric with elasticated waist. Rated 3 out of 5 by Wendy Longlegs from Pretty but Very dlfficult Pleats This skirt is actually 37" from under waist to hem so just right if you are 5' 8" tall and want it on the ankle - a positive. The material however being very soft and silky, does not hold tight pleats at all - then I was foolish enough to wear it out in humid (not raining) weather, so I am hoping a quick wash will restore the pleats . Be warned! Rated 4 out of 5 by loulou from Lovely skirt Lovely skirt, but it was way too long for me. Im 5' 7. Rated 5 out of 5 by Den from beautiful Beautiful skirt - true sizing and good length. Excellent for evening or formal occasion. Rated 3 out of 5 by LincolnImp from Disappointing quality and value This skirt is not of the quality I expect from J D Williams. There is no hem. There is no lining. The material is thin. 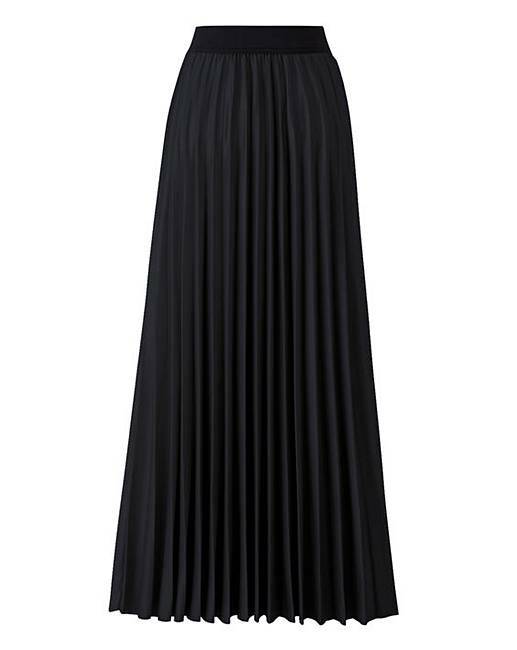 It is not nearly as full as other pleated maxi skirts I have bought this year from JDW. I have returned it. Rated 5 out of 5 by Sapphira from Elegance & Edgy! Adore this skirt, it is so flattering and versatile. At first I thought - wet look - can I wear it? But I reamed it with upmarket top,jacket and patent shoes and I have to say it looks and feels sensational. 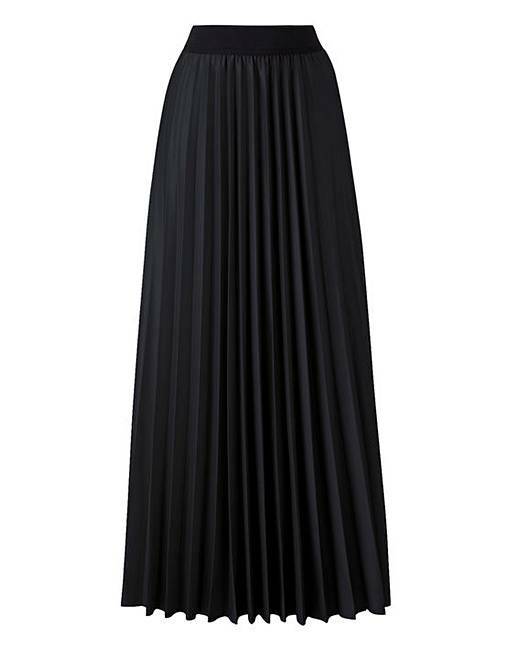 Rated 5 out of 5 by MissAlexa from Beautiful skirt Just bought this skirt & it's gorgeous-lovely, long & elegant. I chose the pink one as it's summer & I wanted a bright colour for days out, but I love the style so much that I might get the black one as well. Rated 5 out of 5 by Bustyirene from Fantastic skirt I bought this last week and have worn it on two evening occasions with lots of compliments. It is so comfortable and quite light and floaty. I paired it with a lovely blouse to complete the look. Now a big favourite and taking it on a cruise this summer.